Where and in what ways can I add meeting documents to the meeting? You can add documents per agenda item. This can be done in two ways: From a location within your SharePoint environment, OneDrive or from your own computer. Whether it is a Word, Excel or PowerPoint file doesn’t matter. All files are automatically converted to PDF. Tip: Do you want to add an e-mail message to the meeting? You can! Save the email temporarily and then upload it to the agenda item. How do I ensure that certain meeting documents are not accessible to everyone? You can grant access rights to meeting participants per meeting document. You do this by clicking on the lock that is displayed at the meeting document. Can I add documents from a SharePoint-location? 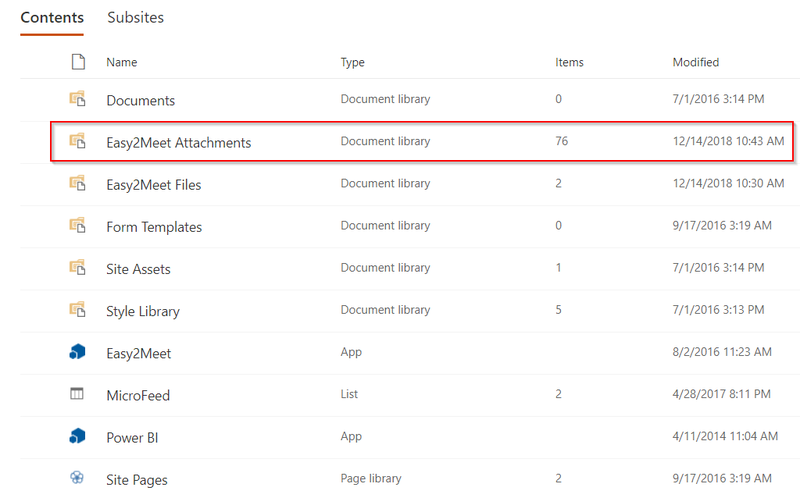 When you add a meeting document from a SharePoint location, the document is copied to the meeting and is also converted to PDF. In this way participants can make annotations during the meeting. 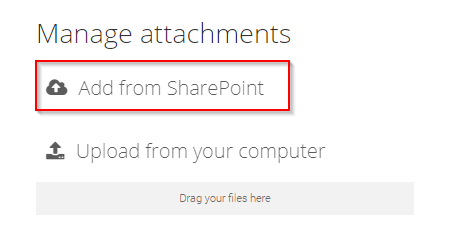 Information: The source file of your meeting document remains unchanged at the SharePoint location. If you want to make substantive adjustments to the document, you have to do that in the source file. You can then publish the new version of the meeting document. The old versions will be retained because of version control. Can I add external participants to my meeting? In addition to participants within your organization, you can also add external participants to the meeting by using the e-mail address of the external participant. The participant will then receive an invitation by email with automatically generated log-in information. Note: This option needs to be activated by a SharePoint administrator. This is disabled by default for security reasons. Alternatively, you can also invite external users via Azure B2B. Can I add participants after I have already generated a meeting? You can add participants while creating a meeting, but also at a later time. Once the meeting has been created, you can add users (both internal and external) by going to the meeting management page. What is a meeting type? A meeting type is a template that contains standard agenda items, participants (groups), a standard location and a standard organizer. You use a meeting type when you organize recurring meetings (for example, a Supervisory Board, MT, Marketing or Team Meeting). Tip: Use meeting types as much as possible. This will be useful in keeping an overview of all the meetings that you have scheduled by applying filters to, among other things, the meeting type. This will neatly show all your meetings within this meeting type. In addition, it is then possible for meeting participants to filter tasks, decisions and minutes per meeting type. How do I add tasks and decisions to my meeting(s)? It is possible to create tasks and decisions for each agenda item. Tasks can be assigned to specific participants and decisions are provided with a decision date. 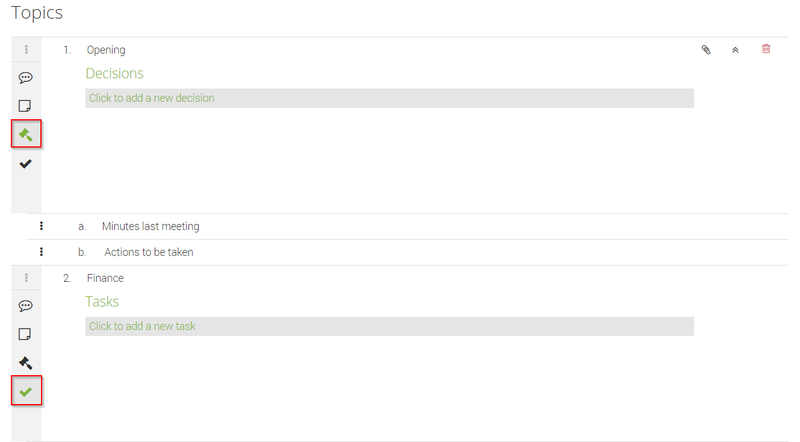 Tip: Use the task or decision list to get an overview of all open tasks or decisions taken. Within this list, you can then add filters or export the tasks and decisions to Excel. To which extend can I add the corporate style and identity? It is possible to design your own agenda and minutes template. Here, the corporate identity can be fully applied, such as the font, the font size and the logo. You can also adjust the layout of the automatically generated e-mails by changing font, font size and by adding a logo. How can I copy meetings and schedule them for several weeks or months? As soon as you have created a meeting it is possible to copy it. You can indicate how much, how often and with what interval this should be done. Tip: Do you have a good idea of when the meetings will take place and would you like to reserve them in the calendars of the participants? Then choose 'reserve time slots directly in calendars'. Extra: If you do not know the exact date of the repeating meetings, you can just create the meetings and adjust the date later in order to subsequently send the meeting requests and / or publish the meetings. How do I manage my agenda items in a meeting that has been created? 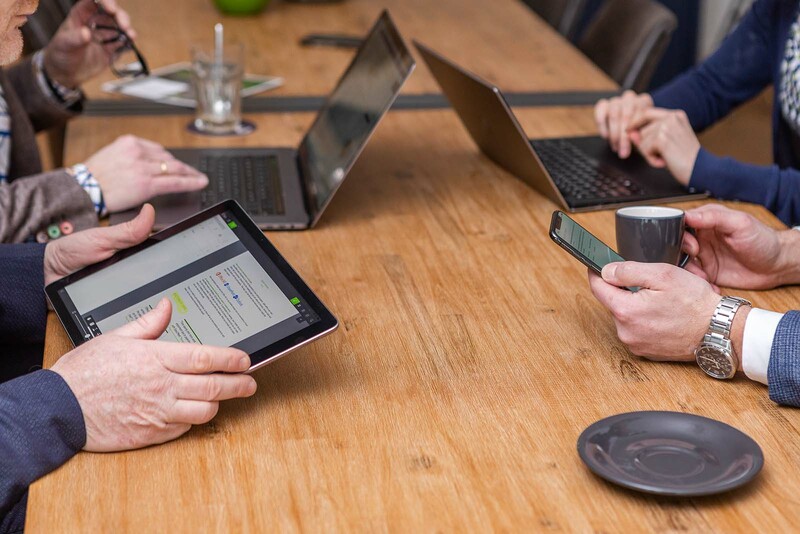 When you open a meeting, you will see the structure of your meeting in the larger part of your screen, starting with General information followed by the meeting participants and the Agenda items below. Here you can create and manage agenda items. Tip: You can also rearrange agenda items by using the 3 black dots by each agenda item. You can use these to drag agenda items to the desired place. Extra: It is also possible to indent items on the agenda. When you move your mouse over an agenda point, a black arrow appears, allowing you to indent the agenda item to the level you want. I only want to create the meeting and reserve it in the calendars, without making the meeting transparent to the meeting participants. How do I do that? - planning of the meeting. I want to make the meeting with agenda items and meeting documents available for meeting participants. How do I do that? 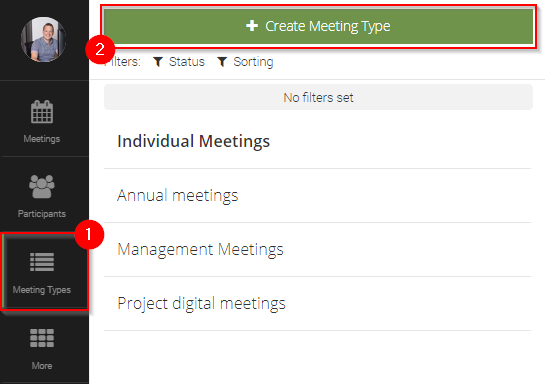 Once you have created the meeting, added the agenda items with all meeting documents, you can 'publish' the meeting at the top right of the meeting. This will send a message to the participants informing them that the meeting can be accessed through their device. Extra: If you want to add additional agenda items, meeting documents or comments after publication, you can simply go ahead and do this. An option will appear to send a notification to the participants informing them that changes have been made to the meeting. How can I adjust the attendance of the participants in the minutes? When you have opened the preview of your minutes, you can set the presence per participant by choosing 'Set presence'. Extra: You can also add people to the minutes that do not (need to) have access to the meeting. I want a certain meeting type to no longer be selectable when creating a meeting, without deleting that meeting type. How do I do that? First go to 'meeting types' in the menu, select the meeting type in question and choose 'block' in the top right of your screen. How can I get an overview of all the tasks and decisions? Within Easy2Meet you can choose 'More' on the left and then 'Decisions' or 'Tasks'. Tip: You can create tasks and decisions outside of a meeting, possibly linked to a meeting type. Extra: You can export the task and decision list to Excel. Can I add groups to my meeting as well? Within Easy2Meet you can put together meeting groups that can be added to meetings. In addition, you can also use the Office 365 groups and other groups that are known within Active Directory ((Azure) AD). 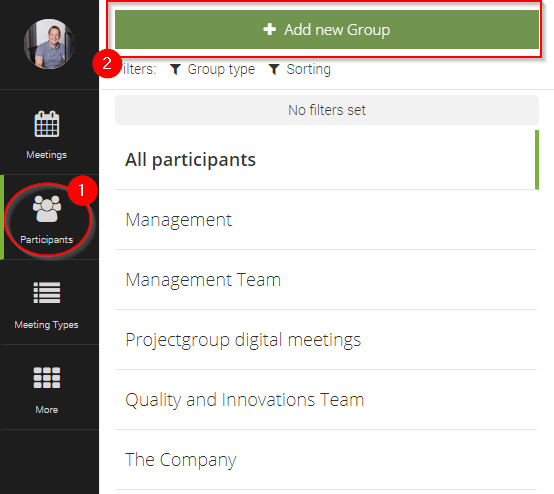 Tip: Add a group to the meeting type so that you do not have to separately add the participants who are always present at this specific meeting type each time. Will I still need printed meeting documents during the meeting? Easy2Meet is committed to fully paperless meetings. Within Easy2Meet you can safely upload all documents. 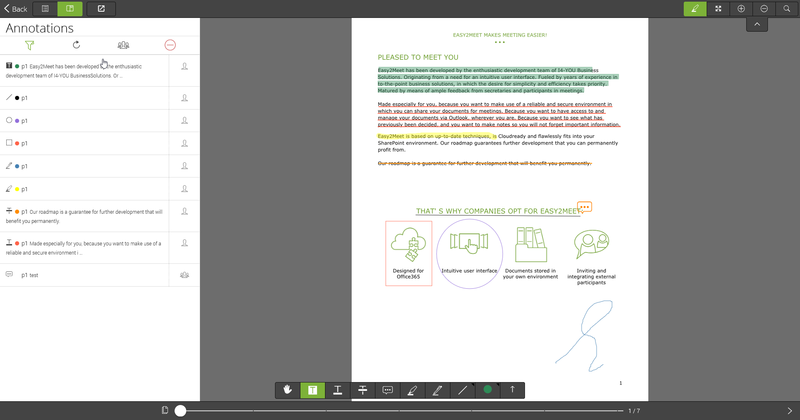 The meeting participants can make annotations on the meeting documents. Will I always have the latest version of my meeting documents available? All documents are stored within the SharePoint environment of your organization. 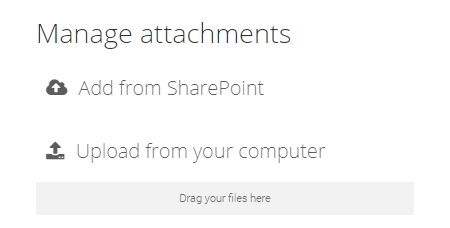 The source file of your meeting document remains unchanged at the SharePoint location. If you want to make substantive adjustments to the document, you have to do that in the source file. You can then publish the new version of the meeting document. The old versions will be retained because of version control. How do I add annotations or comments to my meeting documents? 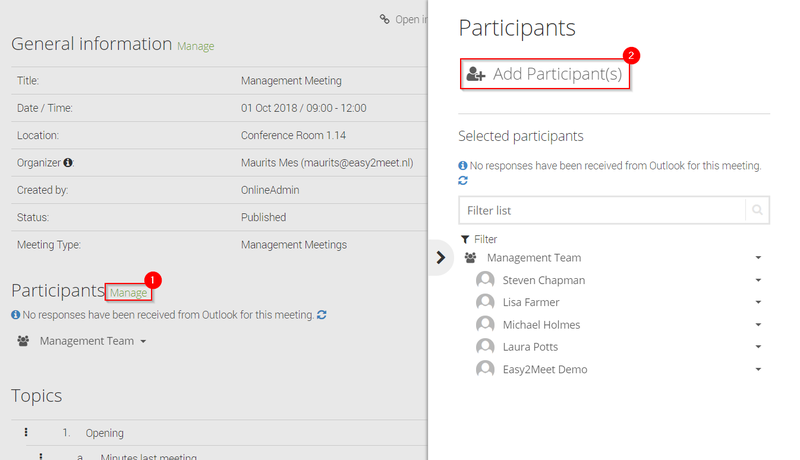 As a meeting participant you can open meeting documents within the meeting and add annotations and / or comments. 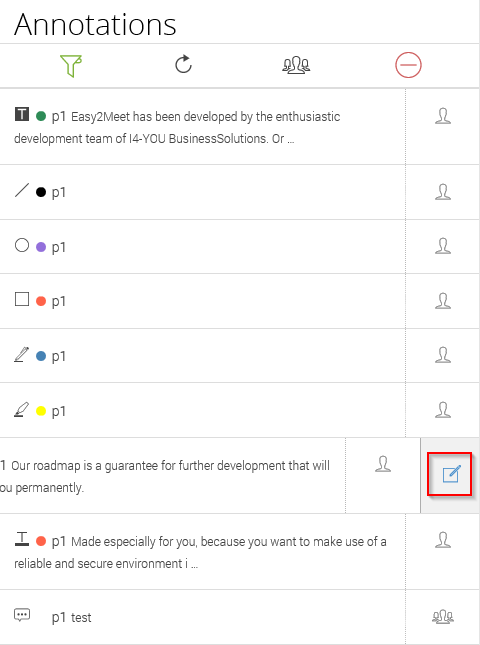 Per annotation or comment, you can indicate whether you want to keep it accessible only to yourself or if you want to share it with other meeting participants. Tip: Do you want to see what notes you have made in a different meeting document? Switch quickly between documents by selecting the agenda view. 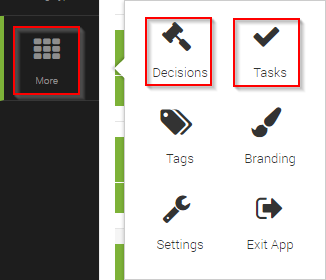 Within Easy2Meet you can create an overview with all the Task and Decision by click on the icons in the left bar. You will get an overview of all Tasks and Decisions created in your meetings and you can use the helpful filters to create more overview. How can one share annotations with specific meeting participants? 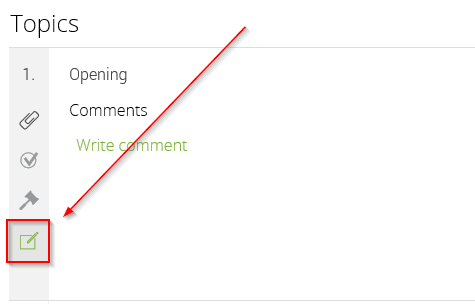 As soon as you make an annotation on a meeting document, you can set with whom the note / comment is shared. Step 2: Then, this pop-up will appear. 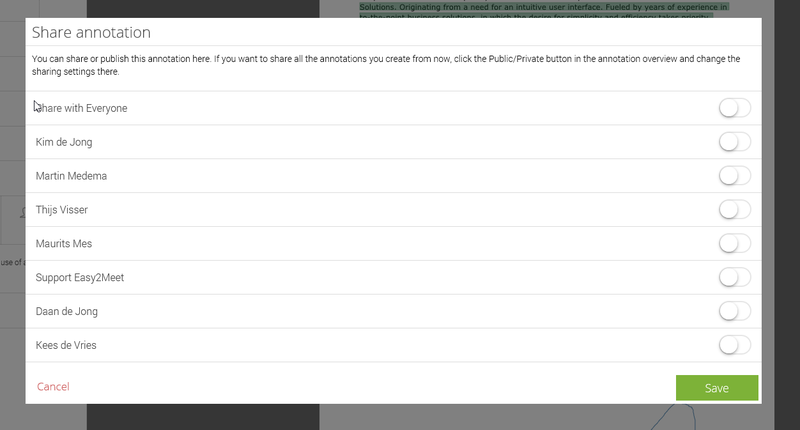 Select the person(s) you want to Share your annotation with and choose 'save'. Tip: Do you want your annotations to be shared with everyone, with specific people or do you want to keep them just to yourself? Set this up in advance. All future annotations will now be shared with the selected person(s). How do I add comments to the agenda items? When you open an agenda item, a number of actions are shown. You can open the meeting documents, view tasks and decisions and make comments. I can’t open a meeting directly in the app. Why is that? Maybe, after clicking on the link in the meeting request, it just opens the web app? Do you have the correct version of the app? Are you using a Windows device? With Windows, the app does not open immediately, but an extra step has to be taken by clicking on the Open button after the web app has been started. Are you using a IPhone or IPad? There is a known Apple iOS bug that occurs on some devices from iOS 11.2. onward. You may be affected by this bug. The problem is not due to Easy2Meet, but unfortunately Easy2Meet is affected by it. In this case the only solution is: remove the Easy2Meet app, restart your phone or tablet and reinstall the app. We sympathise with you, but unfortunately, we cannot make this any better than it is. For those who are interested in the technical specifics: the iOS bug can be found here. Where are my meeting documents stored? All meeting documents are stored securely within the SharePoint environment of your organization. A document set is created per meeting in which the meeting documents are present as PDF files. How does Easy2Meet handle the user rights within SharePoint? If you have contribution / editing rights to the SharePoint site where Easy2Meet is installed, you are authorized to make full use of Easy2Meet. 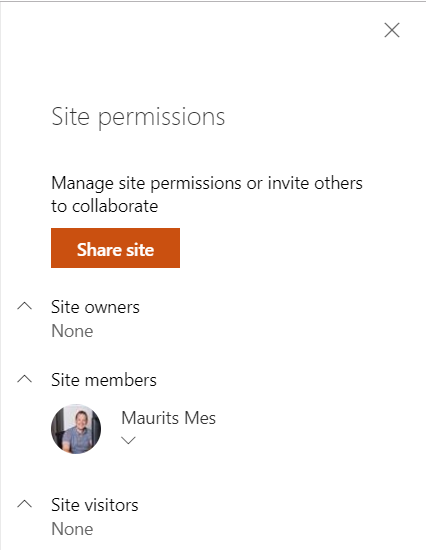 If you have reading permissions on the SharePoint site, you cannot use the organizer. The meeting participants only have access to the meetings to which they have been invited through the participant’s app. Where are the annotations stored and can these be accessed from different devices? The annotations are stored in the Azure (Cloud) database and can be accessed from any device. How long do the meeting documents remain stored on a device and are the meeting documents stored in an encrypted form? The meeting documents are kept on a device for a maximum of 30 days and are removed after that. This is done from a security point of view. The documents can be downloaded again after which they are available offline for another 30 days. It is not always desirable for external participants to log on to Easy2Meet. How do these participants get access to the agenda and the associated meeting documents? It is possible to adjust the mode of the meeting participants (both internal and external) within Easy2Meet. 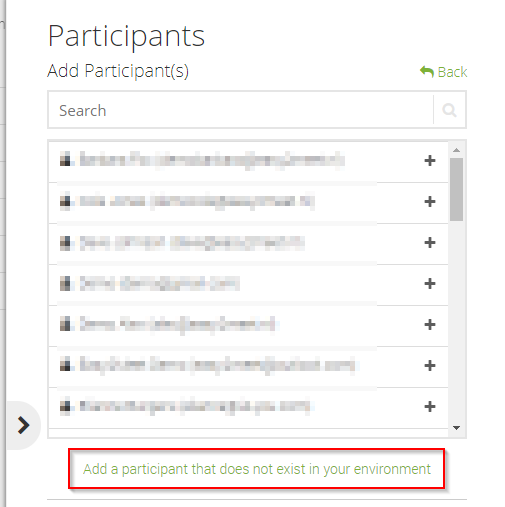 Go to 'participants', select the user and switch the participation mode from the (standard) app-participation mode to the email-participation mode. How does Easy2Meet handle the authentication provided by Microsoft? Within Easy2Meet the security settings are used that are set within the organization, such as MFA (Multi Factor Authentication). In addition, the user must authenticate via an Azure AD application on the Azure AD of the organization. Thanks to this authentication, the Easy2Meet can receive authorization for further integration with Office 365 services, beyond just SharePoint. How will the security strength be monitored for sufficiency? How does Easy2Meet use Azure AD & Exchange links? Within Easy2Meet, meeting participants, groups and rooms can be retrieved from the Azure AD (Active Directory) environment. In addition, Easy2Meet also connects to the exchange environment and the meeting requests are recorded directly in the calendars. All this means that the meeting will be optimally prepared and executed from A to Z with the help of these connections. Which authorizations should a user have in order to be able to organize meetings within Easy2Meet? Within the SharePoint site on which Easy2Meet is installed, a user must have writing permissions to be able to log onto Easy2Meet and thereby create and publish meetings. Documents are stored in your own Office 365 environment. Meeting metadata such as topics, notes, action points and decisions are stored in our encrypted database to which only you have access. How can I protect the data on the tablets of the participants? We also offer Easy2Meet through the Intune platform. This platform saves data on the device in an encrypted form and allows the IT department to alter settings, making sure that data cannot be copied and even allows the IT department to remotely delete the app containing the data.